So Mayor de Blasio gave all the public school kids a day off because of the snow, meaning that parents all over the city are scrambling to make alternate arrangements so they don’t lose their jobs. We have to point out that this might not be happening if the mayor hadn’t given free parking to 50,000 teachers, meaning they’re far more likely to drive to work. No free parking means far less driving and far more safety for everyone, snow or no snow. The Post spent the weekend attacking Alexandria Ocasio-Cortez for doing what every other politician in New York City and the nation does: driving. Now, that said, we at Streetsblog agree that it’s hypocritical to push a “Green New Deal” then jump into an SUV. But the Post’s breathlessness was too clever by half. When the Tabloid of Record starts being consistent about the overall menace of cars, we’ll start listening. It was nice to see Long Island Newsday support congestion pricing over the weekend, especially given some lawmakers’ opposition out there. Meanwhile, the Daily News editorial board, reading those suburban tea leaves, called on Senate Majority Leader Andrea Stewart-Cousins to get her act together and actually lead on the issue. And, finally, Friend of Streetsblog Laura Shepard solicited biking limericks in advance of Sunday’s St. Patrick’s Parade in Sunnyside, where some residents still hate cyclists. Streetsblog resident off- off- off-Broadway musical producer had way way too much fun with them. Whenever a biker's been skinned. Police officers' patience wears thin. > No one wants Upper Manhattan neighborhoods filled with Jersey, Westchester and Connecticut drivers looking for parking just outside the toll zone. > Because parking is already scarce in Manhattan, transportation consultant Bruce Schaller doubts suburban hordes will further jam the area north of 61st St.
I’ll translate this into the reality.. first from Bergen County, then from Westchester. Bergen County: Buses run along NJ Route 4 expressway every 5 minutes or less most of the day, to the GWB bus terminal. Getting from Route 4 to 175 St / 181 St. subway stations is VERY easy. Driving across the bridge takes a lot longer because you can’t drive in the bus lane. And the bridge toll is also a lot more than the bus fare. Sure there are some people who insist on driving in spite of all that; but most do not. But most NJ commuters don’t take the GWB in any form. They take NJ Transit buses into Port Authority. Which is why upgrading PABT and the XBL lane — both persistently overcrowded now — is so important. Westchester County: There is already a FREE parking lot, close to the freeway and subway in the Bronx, that never fills up. If you’re driving to the subway (rather than driving to a destination), there is NO reason to drive any further south than 242 St from Westchester. The only problem is, driving then taking the subway is really slow. Not only is there (some) traffic in Westchester and northern Bronx; but the subway itself is also really slow. And the kinds of people who live in Westchester and have cars and need to get to Manhattan also want to get places efficiently, conveniently and in comfort. For that reason, everybody who can afford it takes the Metro-North, even though it costs an arm and a leg ($20 for a single round trip, $250+/month, etc). People who can’t afford it probably don’t have cars anyway, and they take the bus to the subway — which is the cheapest way to get from Westchester to Manhattan, but also takes all day. In both cases — Bergen and Westchester Counties — I doubt that congestion charges will create a big influx of people who used to drive into Manhattan’s CBD but now drive and and park uptown instead. This just doesn’t pass the “smell” test, if you’ve lived in those locations. By the time they get to Manhattan, the spaces will already be taken. The places where people can park and ride are the places where people drive to work, and leave spaces open. How many people who get around by car and live on the Upper East Side or Upper West Side park on the street? Here’s an LOL. To call attention to the dangers of speeding, Volvo is going to put a top speed control on its cars. OK I’ll be more clear… the ONLY place in Upper Manhattan where it’s easy / predictable to find a parking spot is around Grants Tomb and the Riverside Drive overpass over 125 St. These locations are not really convenient to any residences, and are mostly empty after hours. During the day, they fill up quickly. Who parks there? They’re only really convenient to Columbia University, so my assumption is it’s mostly people working at Columbia. It’s a bit of hike from those locations to the subway. Only 112 mph! What’s the point of driving if it’s going to be that slow? I would concur. Another reason driving to the subway is not an attractive way to get to Midtown. Does anyone know why my comment on commuting to Manhattan by parking uptown + subway was marked as spam? Geez, what happened to your original comment? This seems to be happening more and more. It was flagged as spam, probably by an automated bot. Probably because of certain words I used, or lots of dollar signs, or it rambled on too long, or something. I can still see the original comment on the Disqus website, where there’s a link I was able to click for “This is Not Spam.” They claim they will review it. And yet actual spam posts from obvious spambots often get through. Nearly all my riding is at or under 60 km/hr but I also wanted some range above that for the occasional times I might go faster. However, I didn’t want to waste a good portion of the dial range for speeds I would hardly ever see. Also, with the dial shown the needle would be more or less straight up at my normal cruising speeds. I’ve seen some car speedometers similar to this which go up to 160 mph, but use the first 2/3rds of the dial range for 0 to 80 mph. That makes much more sense. As far as maintaining 25 mph, with today’s grossly overpowered cars that’s a problem regardless of how the speedometer is marked. Why can’t NYC handle snow anymore? I think it’s because there are too many cars, both on the road and parked on the side. As a NYC teacher, I really take offense to Gersh’s insinuation that the snow day was called because of the number of parking permits offered, and such comments also lessen the validity of actual good commentary. The snow day was not called because there are a lot of parking permits, and the fact that many teachers wont make it in to school does not factor into the decision, since there are enough of us in the city that we can cover the students if we need to do so. It is a safety call for the students because the risk of injury or worse skyrockets on days like these. Yeah, it was the wrong call as of 8am this morning, but it was the right call as of 8pm last night. And I actually would have preferred to be at work today. But it was the right call based on the forecasts available. If he called a snow day at 6am, people would be pissed. If he called it at 6pm and the forecasts had been accurate, then people would be thankful. If he didnt call it and a student was killed on their way to school, people would be up in arms. That puts him between a rock and a hard place. For an organization focused on safety, it is disappointing to see that overlooked to score points with the base about the number of parking permits. I think it’s because of many factors. More widely dispersed teachers with longer commutes, more widely dispersed students (few attend a zoned school anymore, and older kids are all over the place), a more litigious society, 24/7 news cycle that over-amps forecasts and just a general acceptance that a couple snow days a year are now acceptable and expected. I like Hondas because as far as I know, all their cars use a simple readout display instead of a stupid meter. 27, 32, 41, etc. You always know your exact speed in large font. Why isnt this a requirement? It should be. Even if people might prefer analog dials, no reason there can’t be a digital display within the dial. I even plan do that with the dial bike speedo I’m working on. 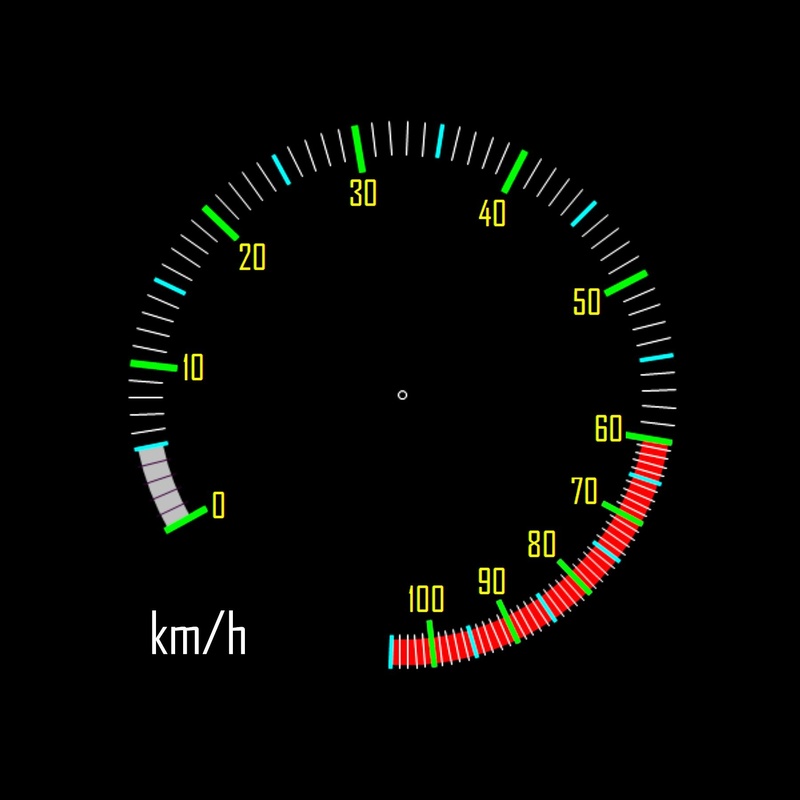 There is a small OLED display at the bottom of the dial which shows speed (to 1/10ths of a km/hr or mph) and various information fields like trip time, average speed, etc. The maximum speedometer reading in cars should be equal to their top speed, rounded up to the nearest 10 mph. It’s just stupid to have a 160 mph speedometer in a car which might not be able to go past 115 mph.